No. 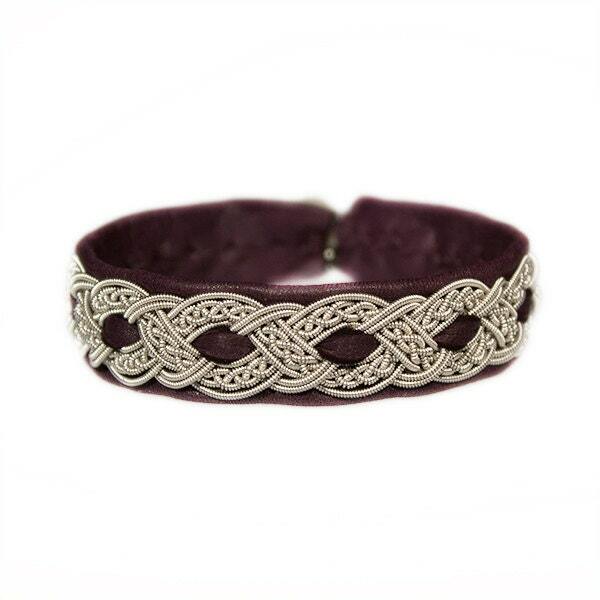 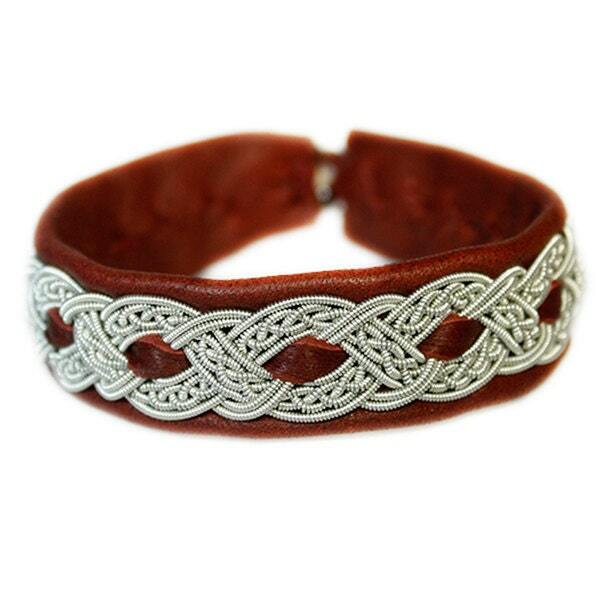 1042: Sami Bracelet of pewter thread and reindeer leather. 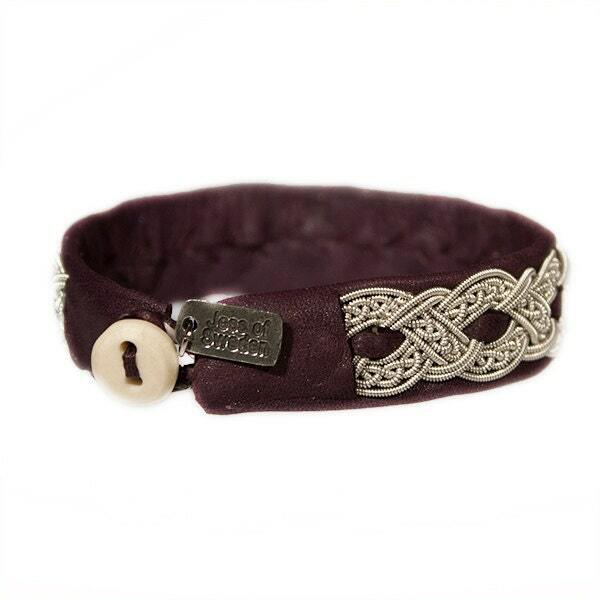 Color in pictures, 1) wine red 2) plum shimmer 3) plum shimmer 4) black.